Blessed with a glorious day and an influx of new attendees this year’s commemoration was deemed a great tribute to an unflinching hero. Prominent amongst the speakers honouring Bradlaugh was Barbara Smoker who was President of the National Secular Society for 25 years. 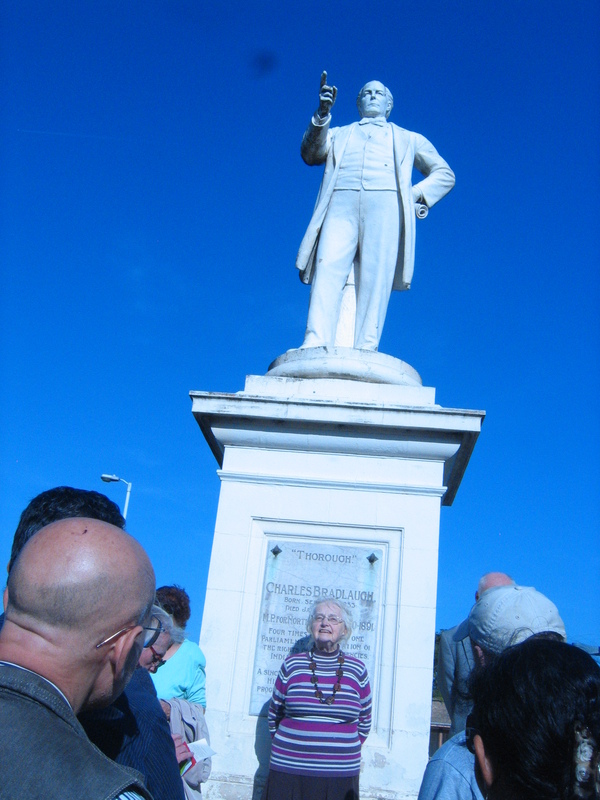 Thank you to all who attended and travelled so far to remember Charles Bradlaugh on his birthday. Yesterday, I've  read about Charles Bradlaugh. It was  the first time I've ever heard of him. Today, I checked the Wikipedia entry, and I am in total awe of the man, his principles, and his intrepidity. I plan to learn a lot more about him as soon as possible, but I'm delighted to have "discovered" Mr. Bradlaugh just 3 days before his birthday. Could there be a better indication of Bradlaugh’s global impact. We look forward to meeting you all again next year.